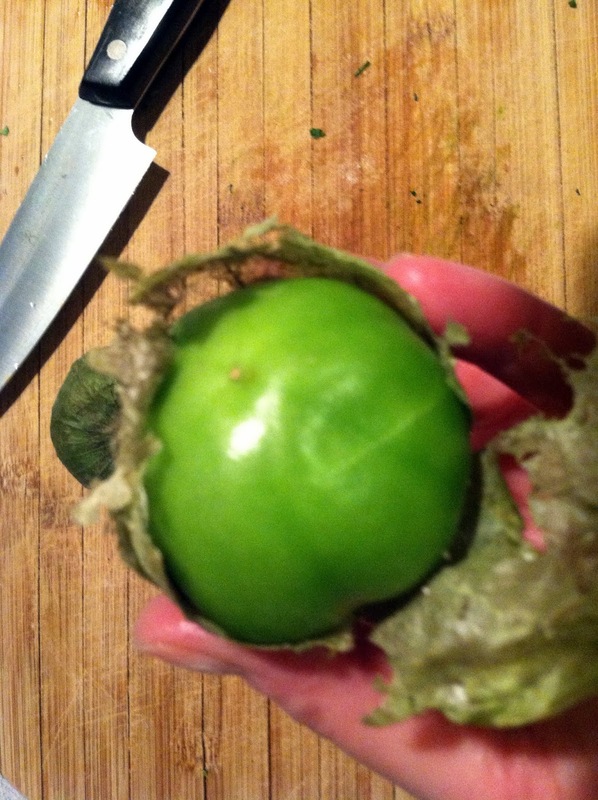 Tomatillos have to be one of the cutest foods out there. They come in their own little leaf packaging, they’re a bright green which would be fabulous in a wedding color palette, and they’re perfectly, adorably, palm-sized. They also have a really unique flavor – kind of tart, kind of tangy – and are a great, fresh base for an incredibly flavorful salsa. I used this as a topping to the fish tacos I made a couple of days ago, and it was terrific. 1. Peel the “leafy” part away from the tomatillos. This has a bonus of smelling like crumpling leaves in the fall! 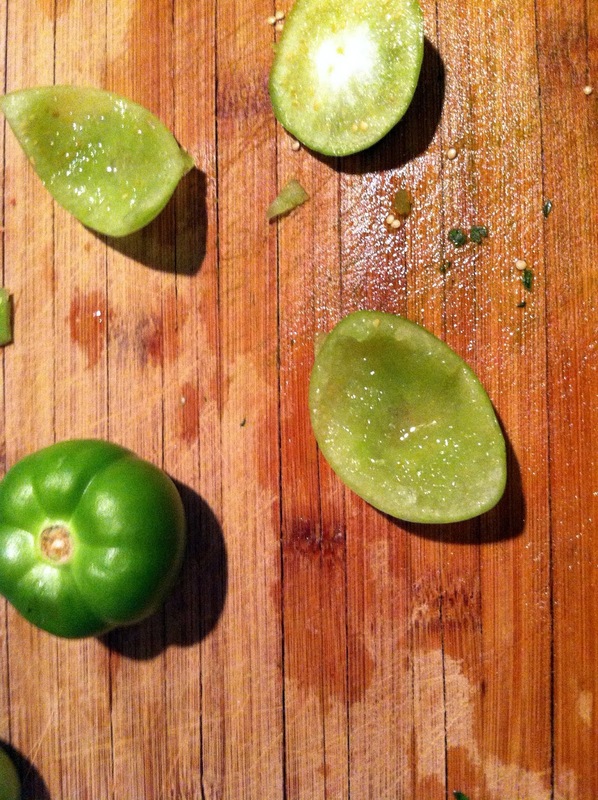 Wash the whole tomatillo to remove any residue. 2. 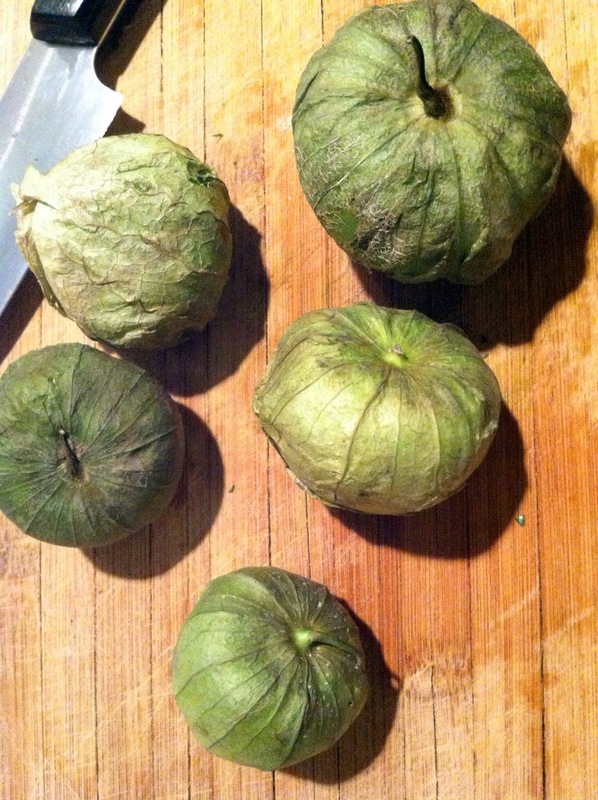 Cut the tomatillos into quarters, then with your fingers, kind of push out the whole middle part to “seed” them. These seeds are teeny, so don’t worry if you don’t get all of them. 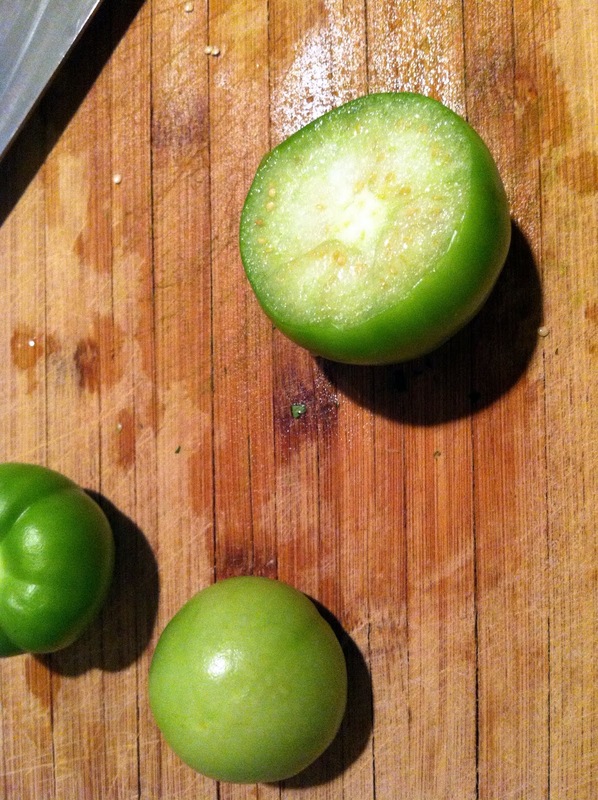 You also lose a lot of the bulk of the tomatillo in this process, but that’s ok too. 3. 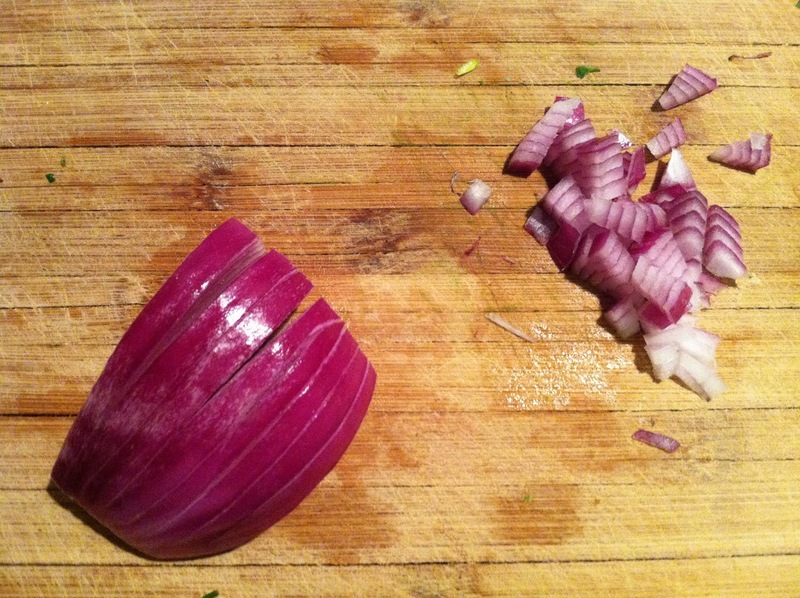 Dice a 1/3 of a red onion – make slits along the natural ridges of the onion, lengthwise, then flip it to the side and make horizontal cuts. The onion will dice itself naturally. 4. 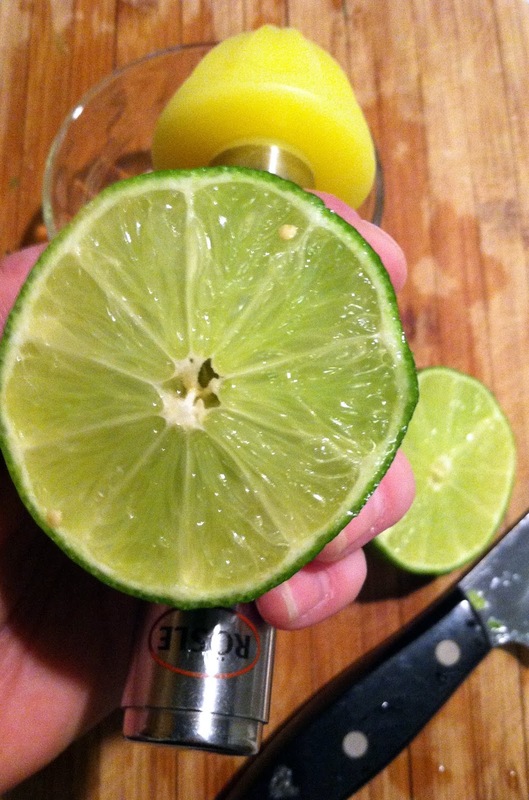 With a Citrus Reamer , juice a lime into a small prep bowl. Add the cumin, garlic, salt & pepper, stir to combine. 5. 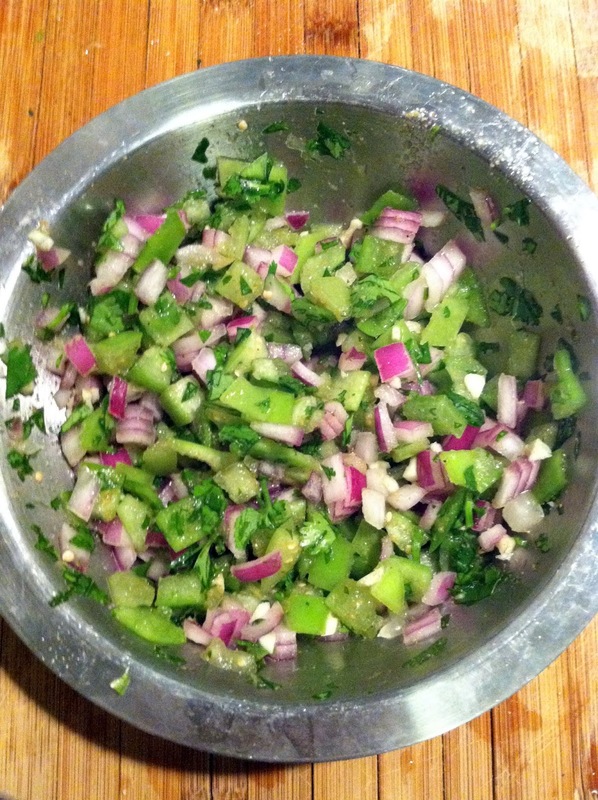 Combine the diced tomatillos, onion, chopped cilantro in a bowl. 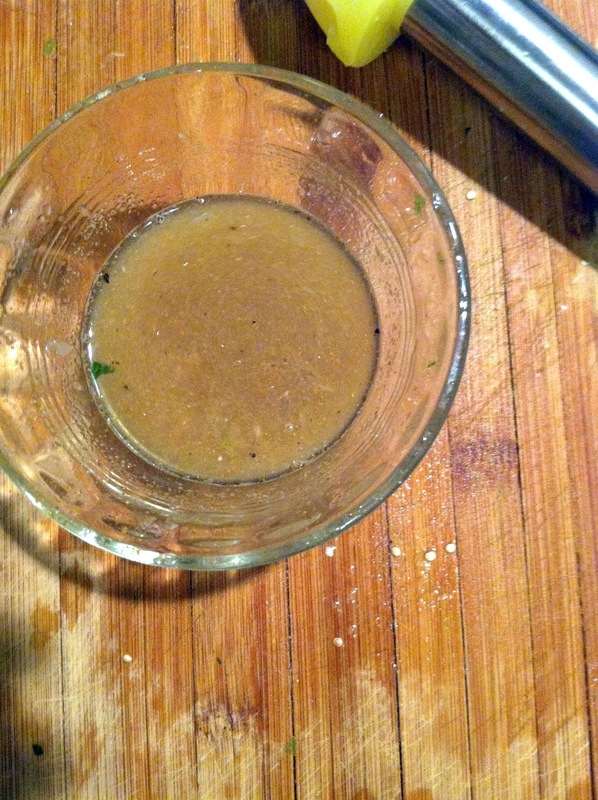 Add the dressing and stir to combine. Taste and adjust seasonings. Serve as a topping to any mexican dish, or even on its own. 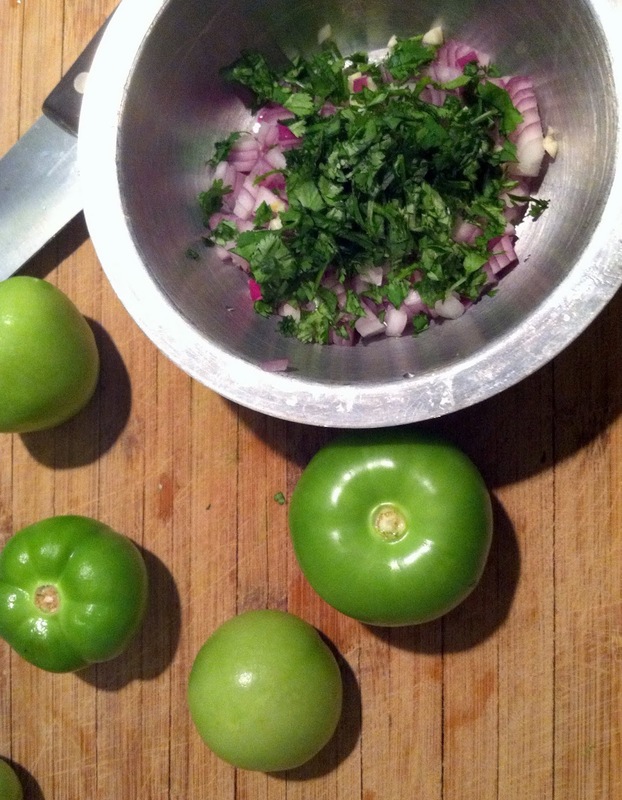 This entry was posted in gluten-free, March recipes, mexican food, one-pot, paleo, salsa, sides, simple, tomatillo, vegetarian on March 5, 2013 by westyn.